Call center QA is a broad term that refers to a suite of activities around managing and monitoring a customer contact center. It can encompass different things in different organizations, but it is typically composed of call recording and review and data gathering from customer contacts. The information is used for several purposes. Firstly, it provides a snapshot of associate performance and level of customer service. Data gleaned from call recording and monitoring can be used for performance management and to improve training. Also, it provides a company with important statistics and information about customer interactions that can be used to better manage staffing and operations in the contact center. While the implementation and usage of call center QA will vary from organization to organization, there are some standard best practices that will help your company get the most out of call center QA- regardless of size or industry. 1. Know your goals: Even before you implement call center QA, make sure that management is aligned on what you want to get out of the system. What metrics will you track? What kind of improvement are you looking for? How much money do you think you can save? Clarity on these points will aid in the selection of a service and make implementation and use smoother. 2. Engage in benchmarking: Most companies focus on the results of call center QA metrics inside their organization month after month. However, it can be helpful to look outside as well. What does “best in class” mean for a call center in your industry? Compare your progress to industry standards to understand your performance against your competitors. 3. Focus your metrics: The wealth of data that call center QA can provide may be overwhelming. Don’t get bogged down with extraneous or irrelevant information- stay laser focused on the metrics that are most important to the success of your organization. 4. Make insights actionable- Data is valuable, but only if it leads to action. Make sure that the information that is being provided by your call center can be quickly translated into operational improvements, such as enhanced training or re-allocation of resources. If your business is looking to implement call center QA, or replace an existing system, contact the expert team at Evaluate Quality. 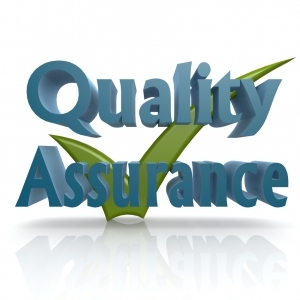 Evaluate Quality can help you understand the nuances of call center QA best practices and ensure that your organization’s new quality monitoring program is efficient, appropriate, and effective. Whether your business is in Scottsdale, Phoenix AZ, or elsewhere in the United States, Evaluate Quality, founded by Sage Advantage, can help you implement the call center QA software program that is best for your organization’s needs. Contact Evaluate Quality today and schedule your no obligation demonstration.